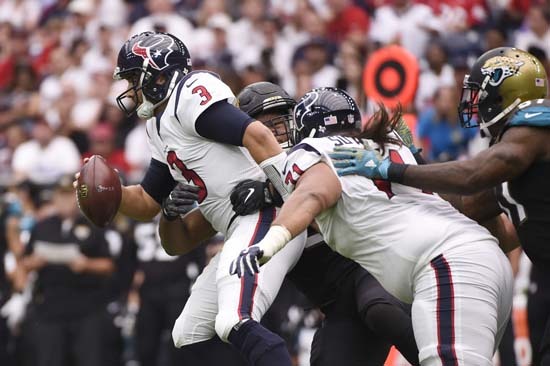 HOUSTON, Texas (KTRK) -- The Houston Texans were unable to keep up with the Jacksonville Jaguars, suffering a 29-7 loss in the regular season opener. 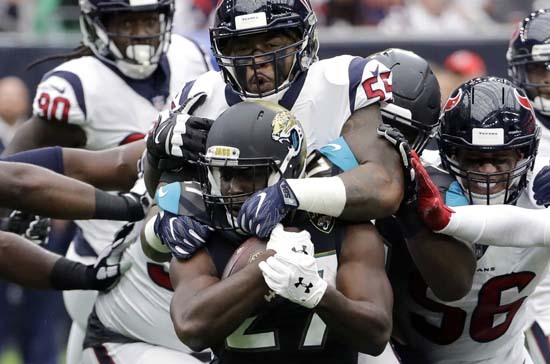 Leonard Fournette ran for 100 yards and a touchdown in his NFL debut, and Jacksonville had 10 sacks and forced four turnovers to help the Jaguars win. 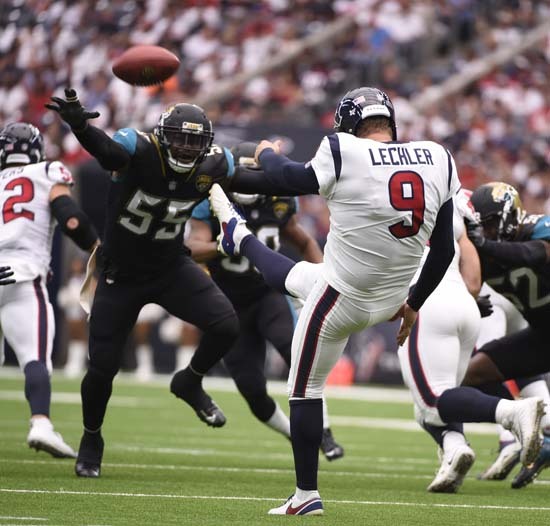 Blake Bortles threw for 125 yards and a touchdown, Calais Campbell had four sacks and Dante Fowler returned a fumble 53 yards for a score as the Jaguars snapped a six-game skid against Houston. 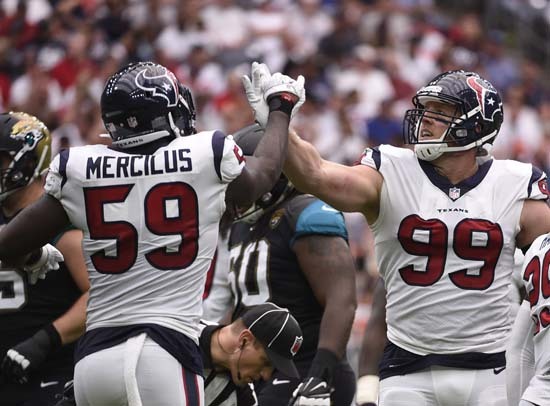 The Texans hoped to provide a boost to the area ravaged by Hurricane Harvey with a win. 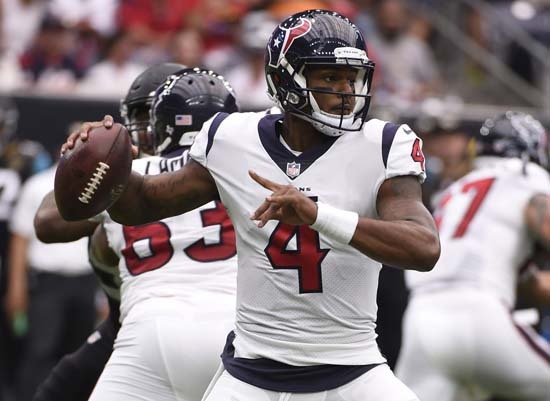 Instead, Tom Savage struggled behind a porous line and was benched in favor of rookie Deshaun Watson at halftime with Houston down 19-0. 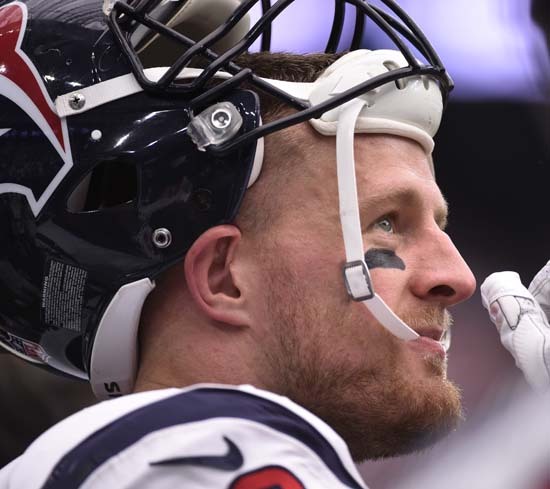 J.J. Watt returned after missing 13 games last season after back surgery, but injured his finger in the first half and finished with just one tackle. A 42-yard field goal by Jason Myers made it 3-0 in the first quarter and he added one from 25 yards early in the second. Texans fans were disappointed by Sunday's loss. 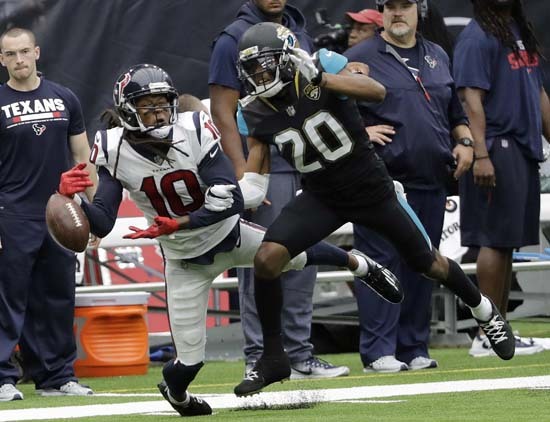 The Texans punted on their first four possessions, and the fifth one ended when Savage fumbled on a sack by Yannick Ngakoue and the Jaguars recovered the ball. 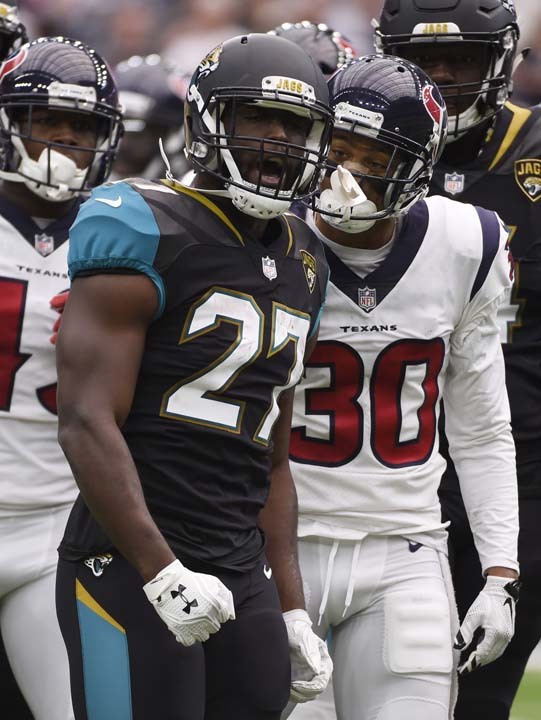 Fournette, who was the fourth overall pick in this year's draft, added his 1-yard touchdown after that, but the kick failed, leaving Jacksonville up 12-0. Savage was sacked six times in the first half, playing behind a line without veteran left tackle Duane Brown, who is holding out. 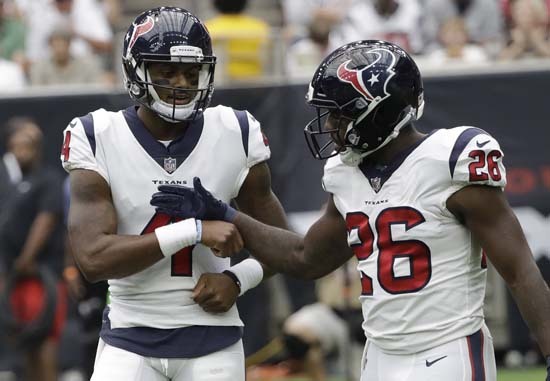 The Texans were also without receivers Will Fuller, who has a broken collarbone, and Jaelen Strong, who served a one-game suspension for violating the NFL's substance abuse policy. Ngakoue picked up the last sack of the half, stripping the ball as he pulled Savage down. Fowler scooped it up and dashed for the score to make it 19-0. When Houston traded up 13 picks to take Watson 12th overall in this year's draft, many assumed he'd be the starter to open the season. 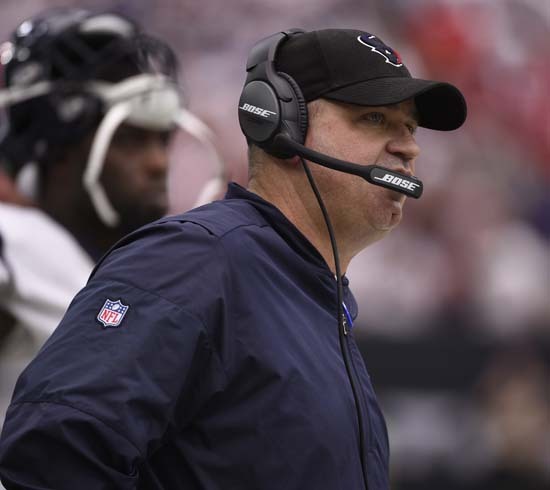 But coach Bill O'Brien insisted he'd back up Savage and raved about the progress of the third-year player. 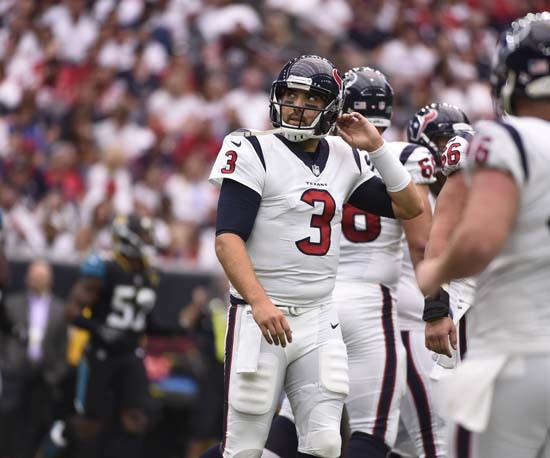 He had seen enough after Houston's offense failed to move the ball for two quarters during which Savage managed just 62 yards passing and lost two fumbles. The crowd, who had booed Savage for much of the first half, cheered loudly when Watson, who led Clemson to a national title last season, trotted onto the field for the second half. 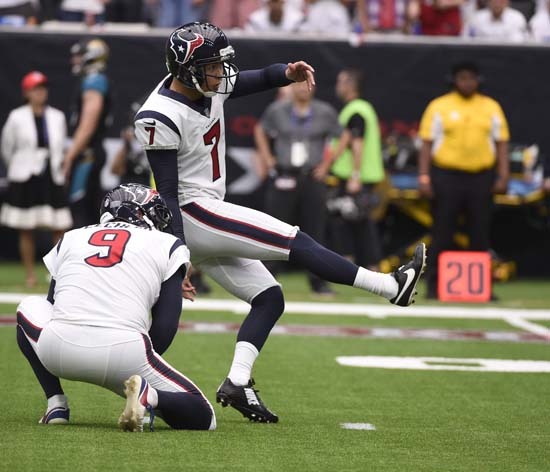 He didn't waste any time getting going, throwing a 4-yard touchdown pass to DeAndre Hopkins on his first drive to cut the lead to 19-7 early in the third quarter. Tommy Bohanon grabbed a 1-yard TD pass from Bortles after that to extend Jacksonville's lead to 26-7. 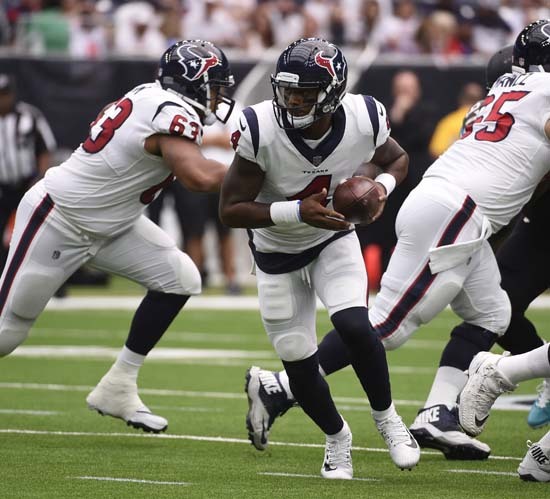 The Texans coughed it up again late in the third quarter when Watson fumbled on a sack by Fowler and Ngakoue recovered it. 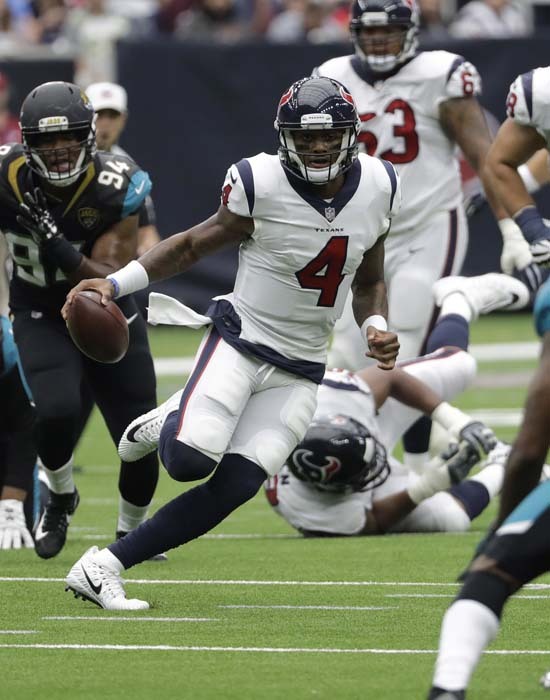 Houston was driving late in the fourth quarter when Watson turned it over again on an interception by Tashaun Gipson, who returned it 67 yards. The Jaguars added a field goal after that to make it 29-7. Houston linebacker Brian Cushing, tight ends Ryan Griffin and C.J. Fiedorowicz and receiver Bruce Ellington all left the game with concussions. Jaguars receiver Allen Robinson injured his left knee in the first quarter and didn't return. Jaguars: Host Tennessee on Sunday. 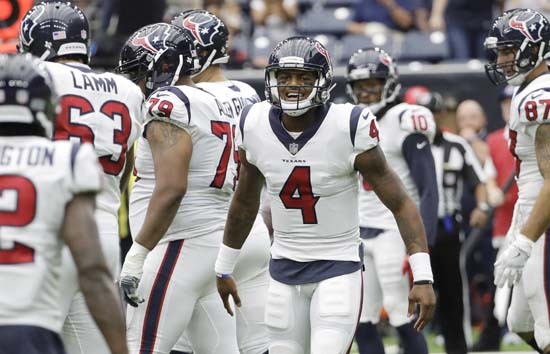 Texans: Face a quick turnaround with a trip to Cincinnati on Thursday.